His Toast to Sir Walter has been made available here thanks to a donation from David Derrick. 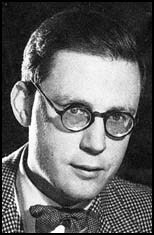 Hugh Redwald Trevor-Roper, Baron Dacre of Glanton (January 15, 1914 - January 27, 2003) was a notable historian of early modern Britain and Nazi Germany. He was born in Glanton, Northumberland, England and educated at Charterhouse and at Christ Church, Oxford in the Classics and Modern History. Initially Trevor-Roper intended to make his career in the Classics but he became bored with aspects of Philology and switched to History. Trevor-Roper's first book was his 1940 biography of Archbishop William Laud, in which Trevor-Roper challenged many of the prevailing perceptions surrounding Laud.